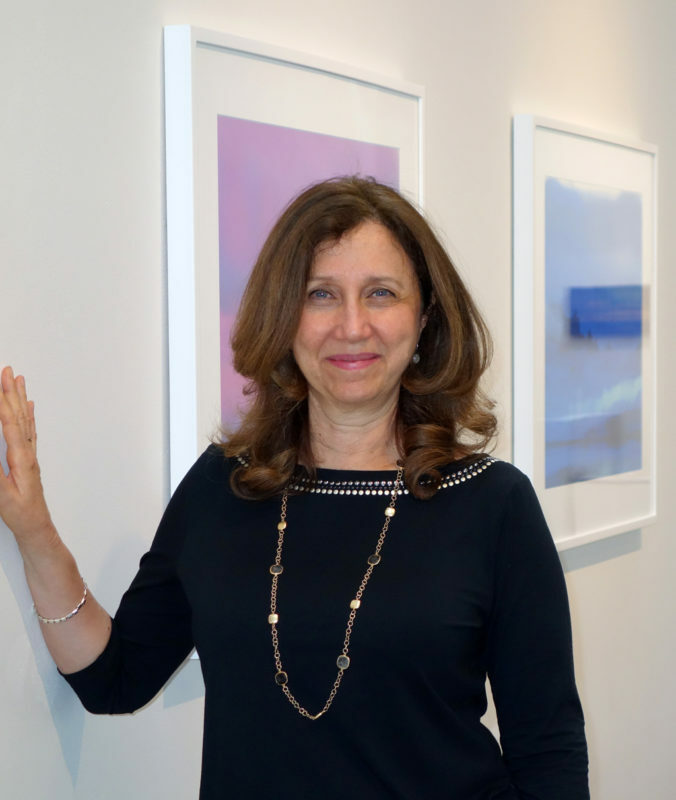 Anita Hochman’s work explores the potential of Landscape to express and translate her experience. Her paintings are intensely personal responses to her own engagement with the land and waterscapes of Northern NSW and South East Queensland where she has lived for over twenty years. Her ongoing fascination with light and its reflective qualities, with luminosity and movement can be seen in her richly layered semi abstract paintings of landscapes in flux. Born in Sydney, Anita holds a Bachelor of Arts (Sydney University, 1974), a Bachelor of Arts, in Visual Arts (Northern Rivers College of Advanced Education, 1988) and a Master of Fine Arts (College of Fine Arts, University of NSW, 1994). She lectured in Painting at Southern Cross University, Lismore for 17 years and currently works full time in her Brisbane studio. Anita has been artist in residence at The Gunnery Studios, Sydney, at Bundanon on the Shoalhaven River, and at the Centre d’Art Marnay on the river Seine, in France. In late 2016 she was resident artist at the Nancy Fairfax AIR Studio at the Tweed Regional Art Gallery in Murwillumbah. In June 2017 Anita was artist in residence at the Baer Art Center on the Skagafjörður fjord in Northern Iceland. She has held 20 solo exhibitions and been represented in over 90 selected and curated group shows. She has won awards in Australia and overseas, including an Australia Council New Work Grant and the Fondation Ténot Award, France. Her work is held in private and public collections in Australia, Ireland, France, Germany, the USA and Canada.